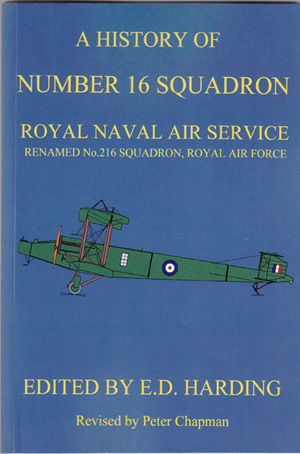 This is a reprint of the 216 Squadron RAF, World War 1 history, written by various authors and edited by ED Harding. It was first published privately in 1923. As far as is known, this history has never been reprinted until now. All care has been taken when transcribing the original book. The page numbering has, as much as possible, been matched to that of the original, and the text has been accurately recreated. Some format changes have been made, particularly to the crew lists on operations flown, to make them more readily readable. Where there are changes in the text, this has been to correct obvious spelling errorsin person or place names, and where specific facts have been altered from that published in the original, this has been noted in the footnotes. This then in their own words, is the story of 216 Squadron RAF, in WW1.